At our annual winter meeting on Saturday, Coach Jerry took the time to recognize our top performers and notable contributors during 2017. Steph had another great year, and continued to prove her versatility, toughness, and commitment to her team. Among her achievements on the track in 2017, Steph successfully defended her Penn Relays Olympic Development 10,000 meter title, and set new GRC club records at 1500 (4:27.82), 3000 (9:36.03), and 5000 (16:25.19). On the roads, Steph defended her title in the Frederick Half Marathon, running 1:16:14 on a hilly course, with no race-specific workouts, less than 36 hours after setting the club record in the 1500, and won a seemingly endless string of races at shorter distances. 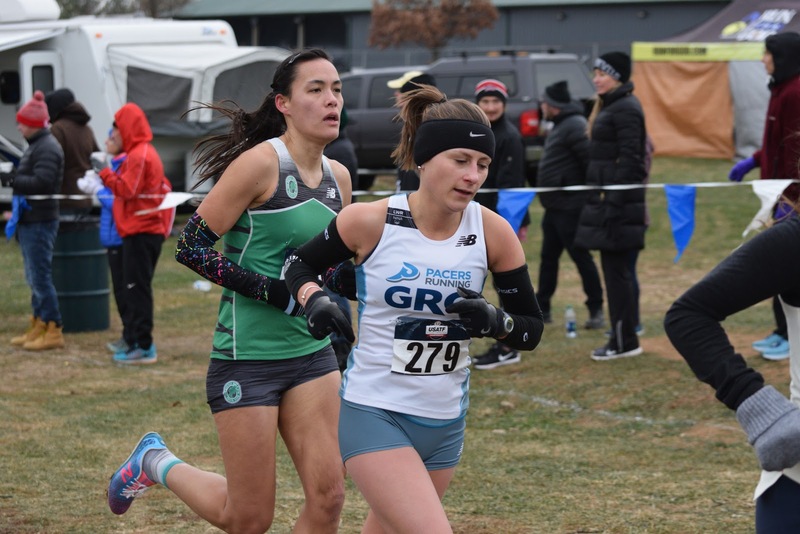 Steph’s health limited her training in the fall, and despite knowing that she was not anywhere close to ready to race at the level she expects from herself, she competed at Clubs XC to the best of her ability in order to help the team. Steph has big plans for 2018 as she continues her trajectory to national-class status, and we’re going to see many more great performances from her in the future. Stewart continued his remarkable development from GRC “walk-on” to star, with breakthrough performances at numerous distances. On the track, Stewart ran PRs of 3:56.9 for 1500, 8:34.2 for 3000, 14:30.4 for 5000, and 29:46 for 10,000, which is fifth on the GRC all-time list. Stewart’s performance in the 10,000 was particularly noteworthy, as it was his first serious attempt at the distance, and puts him within striking range of the club record in 2018. In the fall, Stewart won several road races including Navy 5 mile and Vets Day 10k in a road PR of 30:45. Stewart finished the year with another breakthrough performance, finishing 70th at Clubs XC, which puts him eighth on the GRC list. Stewart is just getting started, and he will continue to build on his momentum going forward. Maura had a fantastic rookie year, running multiple PRs, and making the GRC all-time list in numerous events. On the track, Maura ran 9:37.8 for 3000, which is third on the all-time list, 16:39.8 for 5000, which is fourth on the list, and 35:31 for 10,000, which is third on the list. 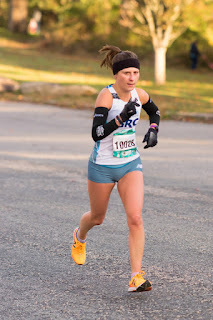 On the roads, Maura ran 16:45 for 5k, 27:31 for 8k, and 34:15 for 10k, all of which are second on the all-time list, and 59:11 for 10 miles, which is fifth on the list. 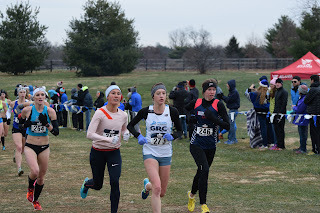 Maura saved the best for last, capping off her year with a superb 20th place finish at Clubs XC, which is the second best performance ever by a GRC athlete at Clubs. Maura is poised to ascend to national-class status in in 2018, and she just might break a club record or two in the process. Lucas joined GRC after graduation from the Naval Academy, fresh off his fifth place finish in the 10,000 meters at the 2017 NCAA championships. Lucas raced sparingly in the fall because of his military duties, but when he got on the starting line he made it count. 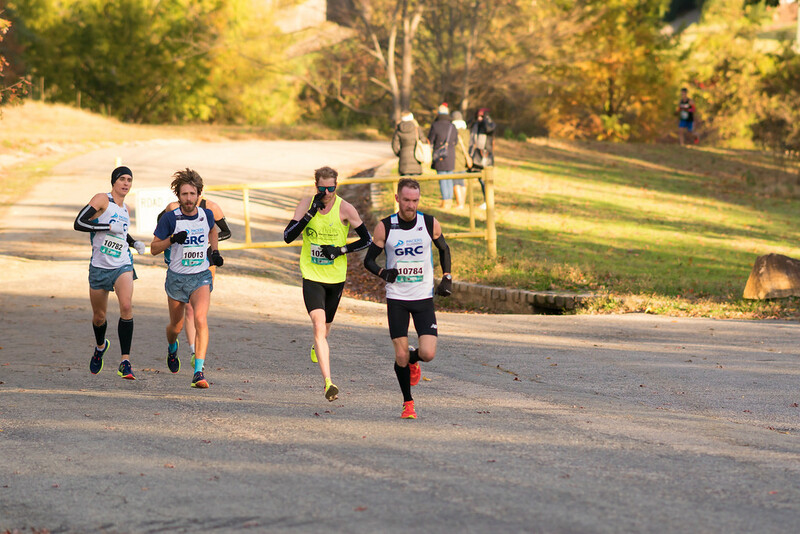 Lucas made a truly memorable GRC debut at the Philadelphia Rock N Roll Half Marathon, finishing fifth in 1:05:26 on a hot day after going toe-to-toe with an elite professional field that included Galen Rupp. 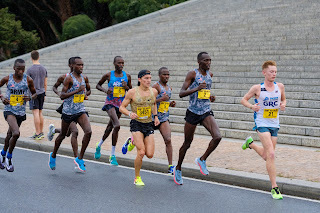 At the Army 10 Mile, Lucas again locked horns with top-flight pros, finishing sixth after running in the lead pack with the Army’s squad of Olympians for 7 miles. 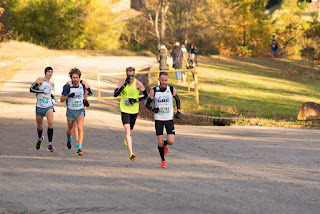 Lucas set the club record for 8k at the Charlotte Southpark Turkey Trot, running an outstanding 23:46. 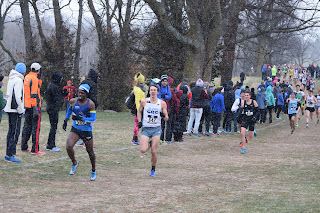 Lucas concluded his season at Clubs, leading the team to a stellar eighth place finish, our best ever, coming in 60th, which is fourth on the all-time list. Lucas has much, much more running ahead of him, and we’re sure to see more national-caliber performances from him in the months to come. Julie has earned this award for her years of dedication to GRC, both as an athlete and as a board member. Julie is an outstanding marathoner, and her PR of 2:51:55 is fifth on the all-time list. In 2017, Julie ran a huge PR of 1:20:40 in the half marathon, and in her first cross country race since college, she finished a strong 134th place at Clubs. As a board member, Julie contributions have included serving as women’s team captain, and as sponsorship director for the Fathers Day 8k. Julie’s dedication to service extends far beyond GRC. Julie is Communications Director for Senator McCain, and her extremely prominent and demanding position has frequently limited her ability to race and train. But despite the severe restrictions on her time, Julie has continued to compete at a high level, and no matter how busy she is, has made the time to fulfill her duties to the team. Maura was one of the founding members of the current iteration of the women’s team, and she has been one of our best and most reliable athletes for more than six years. 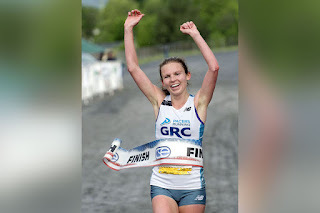 During her GRC career, Maura has shown great range, as her PRs of 17:27 track 5000 (which was the club record when she ran it), 29:24 8k, 35:45 10k, 59:56 10 mile, 1:19:46 half marathon, and 2:54:32 marathon amply demonstrate. Even as Maura has shifted her focus to longer road distances, she has continued to be excel in cross country, and her 60th place finish at Clubs in 2016 is seventh on the all-time list. Maura has also been a long-standing member of the board, and has held several positions since 2012. For the last two years, Maura has served as race director for the Fathers Day 8K, which is an extremely difficult, time-consuming, and thankless job. 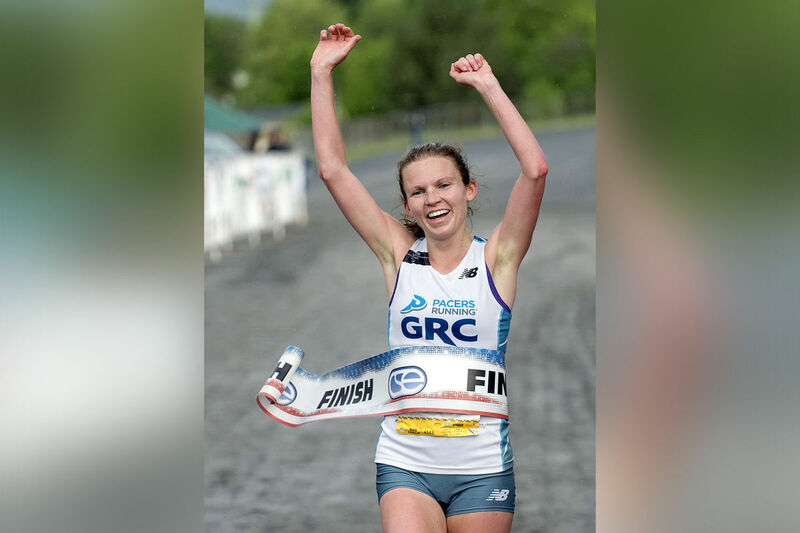 Without Maura’s dedication and hard work on behalf of the team, both as an athlete and as an administrator, GRC would not be what it is today. 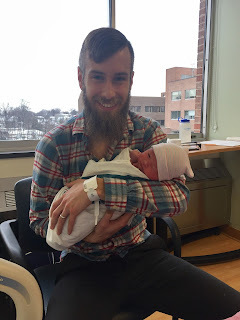 "Ms. Oonagh Priscilla, weighing in at 7 lbs 3 ozs, born 1/17. Everyone healthy and happy. Already has a better 400m PR than her father." Some quick math indicates that Oonagh would have had to run at least 1:02 in order to claim the record. This post will be updated once we know more. Congratulations to Kieran and Zyra! BrReuters Wire Services - Madrid, Spain. FLASH: today at the Palacio de Cristal in Madrid, Spain, Chris Van Es popped the question to Zach Huey. Sources report that Huey accepted with a resounding "Si!," which is Spanish for "Yes!" (Editor's note: this flimsy GRC-issued keyboard is incapable of making accent marks and inverted Spanish-style exclamation points). Stay tuned to this blog for all the details of this happy event. As we deal with D.C.'s temperamental climate, five GRC runners headed to places with more predictable climates. 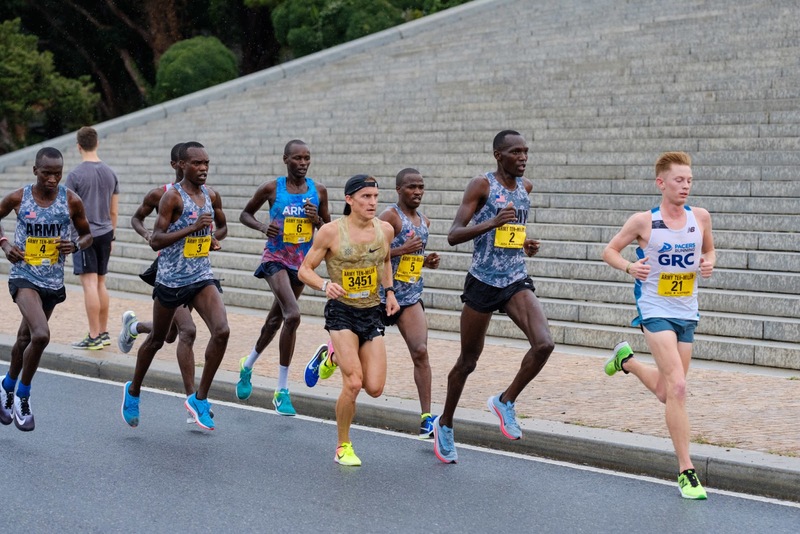 Dickson, Evan and Outlaw raced the Houston Marathon after a series of great workouts in recent weeks and top-notch tuneups. Outlaw and Evan ran 1:10:22 and 1:10:25, respectively, at the Richmond Half. Outlaw ran 2:27:37, less than a minute off of his PR of 2:26:50 at the 2015 Grandma's Marathon. Ev ran 2:29:33, close to his 2014 Grandma's PR of 2:27:37. Dix breezed a 16 mile run on the towpath in mid December, with a few miles tacked onto the Gar Williams Half, where he finished second, matching Mike Cotterell's runner up finish in 2009. His 2:31:20 in Houston is his second best time, behind only his 2:29:14 from the 2006 Chicago Marathon. 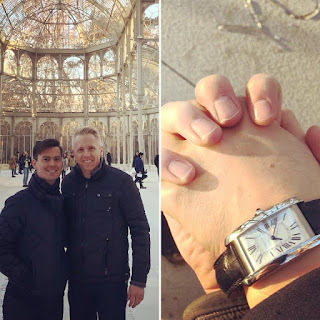 Based on their proximity to their best times and the fact that a difference of two seconds per mile adds up to almost a minute, it was a really successful trip for these three. After so many Sundays prepping her boss for the Sunday talk show circuit, Julie Tarallo got the morning (at least) to herself at the Rock 'n' Roll Arizona Marathon. She ran 2:54:32 for third place, and, with her colleague, raised more than $5,300 for the National Brain Tumor Society. She ran a 1:20:40 PR at the Richmond half. 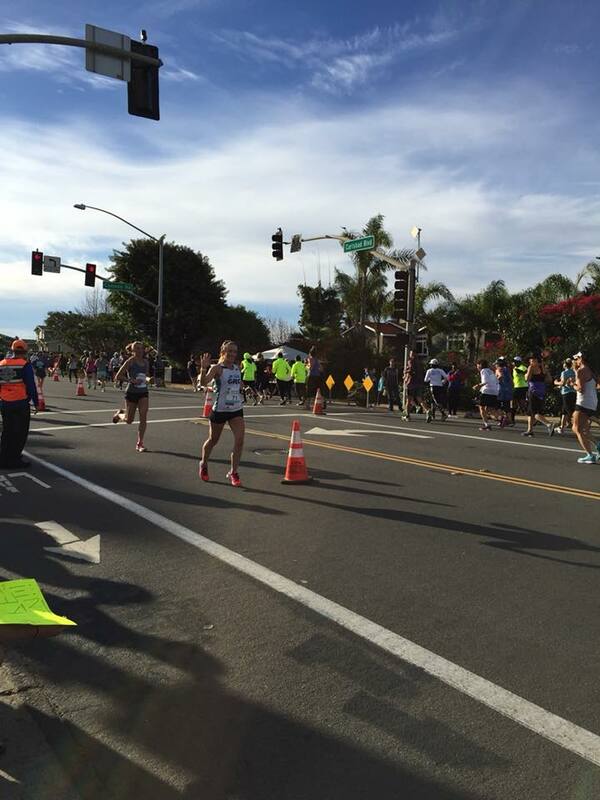 Even farther west, Greta Stults celebrated her break from working in the consulate in Kabul, Afghanistan by running the Carlsbad Half Marathon. Since June, she has done most of her running around a .8 mile loop in the government compound or, more recently on a treadmill, to avoid horrible air quality.